The Floorfixer team are highly experienced at sanding, repairing and restoring wooden floors and have carried out many contracts for religious organisations. 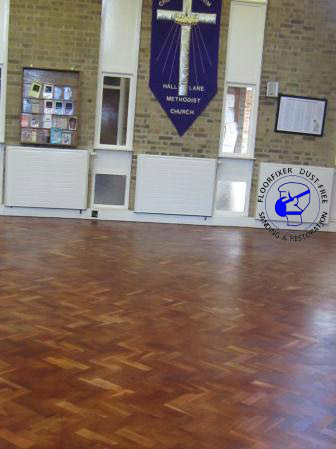 We use the latest technology in advanced hard wearing finishes for heavy traffic areas within churches and chapels, and our experienced professionals are able to source suitable products to ensure a complete refurbishment of a church floor. We understand that when updating the church floor, your priority will be to keep the project on budget as church funds may not be so flush. However, revealing the hidden beauty of a tired or worn wooden floor is always worth the expense and Floorfixer can provide the very best results. 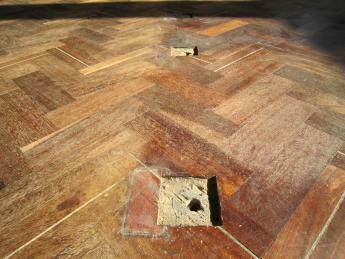 Our competitive prices mean that renovating the church floor can be an affordable alternative to a complete replacement, and with your budget in mind, we are proud to say that our floor sanding service is the least expensive in the East Midlands, meaning there is no better company to contact when you are looking for fantastic value for money. Having procured our floor sanding and sealing expertise you will also receive thorough guidance with regard of how to look after and maintain your newly re-finished sanded floor. As part of our commercial floor sanding service, we believe that our clients should be able to access our knowledge of floor sanding maintenance for many years to come and will advise you of the ideal maintenance regime upon completion of the project. The finishing products we use have been designed for high traffic areas because increasingly these days, church buildings also double as a community resource. This multi-use means the flooring is exposed to increased levels of wear and tear with reduced time for cleaning and maintenance and providing sufficient flexibility for a wider range of activities can also pose extra problems for maintenance staff. 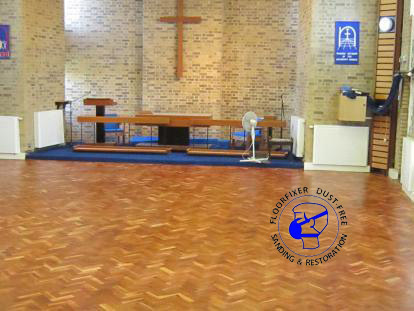 Floorfixer can sand a wooden floor without causing any mess by using the latest low-dust equipment and will work quickly and efficiently to help minimise disruption to church life. 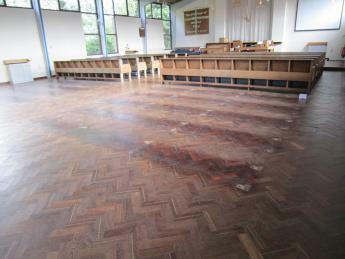 We have extensive experience of sanding church floors, so you can feel confident that your flooring is in safe hands with our fully qualified wooden floor refurbishment team.